THE ALBUM arrived on my desk the same day the news broke that David Bowie died, and so it becomes the artist's epitaph, and it is hard not to hear the lyrics as a man taking stock of his time on earth. It opens with the stately grandeur of the title track. Bowie delivers his words in a kind of faux-Gregorian chant, as though he were a hooded sage, bestowing prophecy - "At the day of execution only women kneel and smile" - backed by steady drums, atonal guitar and free jazz sax, mixed subtly so as not to overshadow Bowie's magnificent croon. Then halfway the song transforms into this bright, beautiful thing, with a melody and vocal delivery that is classic Bowie. Its opening verse is striking: "Something happened on the day he died/spirit rose and stepped aside/Somebody else took his place and bravely cried/'I'm a blackstar'." Is this Bowie reflecting on his own stardom and how, through his many personae, he has explored different aspects of his own personality, thereby allowing his audiences to come to their own individual understanding of him, and indeed, themselves, while at the same time, allowing Bowie keep an essential mystery that forever, even after his passing, will fascinate? Perhaps this also explains a key line in the magnificent 'Lazarus': "I'll be free/just like that bluebird/I'll be free/ain't that just like me?". The opening guitar riff - classic indie-rock, a form unimaginable without Bowie - so minimal and poignant in it's own right, even more so now, sets up another slow, ruminative, song, with majestic sax, punctuated by aggressive guitar stabs. How fitting his final album should contain two of his greatest songs. With its left-field art rock, sombre mood, and jazz touches, Blackstar is among Bowie's more challenging works, but is well worth the effort. 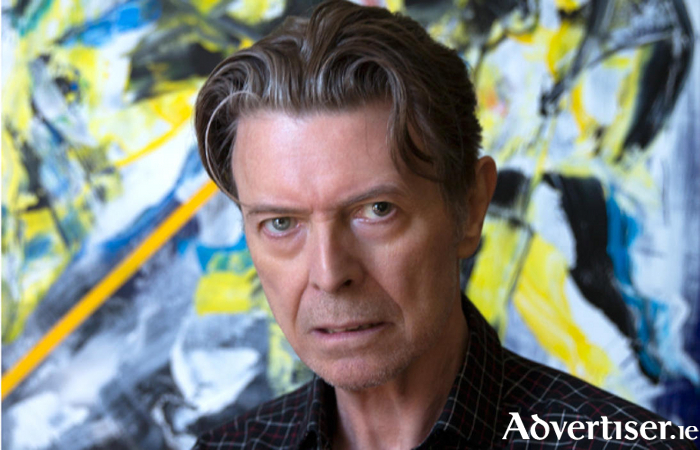 Other notable tracks are the free-jazz meets indie of ''Tis Pity She Was A Whore', the Clockwork Orange quoting 'Girl Loves Me'; and the beautiful 'Dollar Days', where Bowie again reflects on his artistic legacy: "I'm dying to push their backs against the grain and fool them all again and again." His music always will, a kaleidoscopic body of work restricted by no one interpretation, but a generous invitation for us all to explore and find out about ourselves. The Famine - Gaeilge's Armageddon?